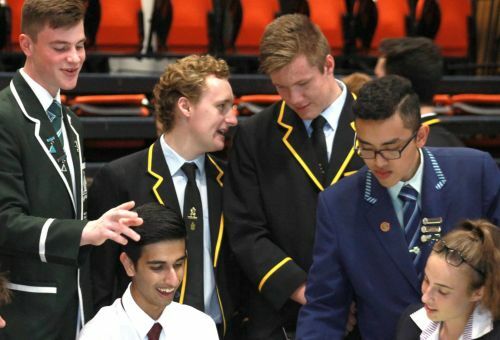 On Wednesday 21 February, the Year 12 Student Leadership Team hosted a ‘Young Leaders’ Afternoon’. Student leaders from various secondary schools visited the College in a unique opportunity to build peer relationships and network, as well as to discuss leadership and its various qualities and responsibilities. The afternoon began with a short drama piece created by the College Prefects. After an introduction and welcome by Mr Chase, the afternoon launched into several activities designed to engage the leaders. Thank you to all who helped make the Young Leaders’ Afternoon such a success.